The entrance to the Station Community room is then on the south side of the Station via the sidewalk. C-PAB serves as an advisory and problem-solving group. It is predicated on, “community government philosophy”, as a conduit for communities to address their concerns. CPAB stands for Community Police Advisory Board. 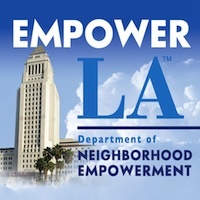 Each of the 18 geographic areas in the Los Angeles Police Department has a CPAB. The purpose of the CPAB is to provide advice to the Area Commanding Officer regarding decreasing the incidents and fear of crime in the community. The Devonshire CPAB is a community action oriented board. The Devonshire CPAB is here to serve you and to give you a better voice in the policing of your community. Visit us at a meeting or communicate to us through one of the 30 CPAB members.